Can anyone identify this location? Winner buys me a beer. 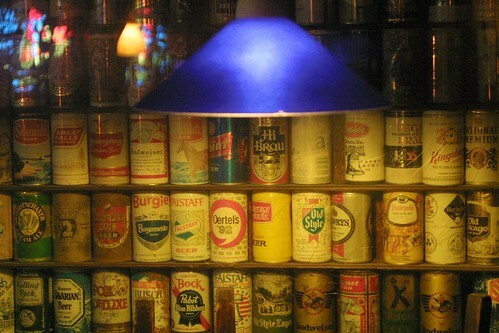 UPDATE: Sarcastro got it in one: It’s the Wall O’ Beer at Broadway Brewhouse. Sarcastro now owes me a beer. (Always read the fine print). Damn, it looks so familiar, but I con’t remember for sure. Er, I will go with Red Door. Mojo Grill/Brewhouse. On the wall next to the cigarette machine. I’ll buy you one at Mothership BBQ.